This Highland Park Landmark required restoration for several years. The pillars at the drive to the Goldstein residence required some work to complete. Surface soiling and efflorescence (surface salts) were cleaned to prevent deterioration. Some of the limestone units were chipped and cracked and were repaired. That was necessary work because some prior repairs used inappropriate materials that put excess stress on surrounding stone. 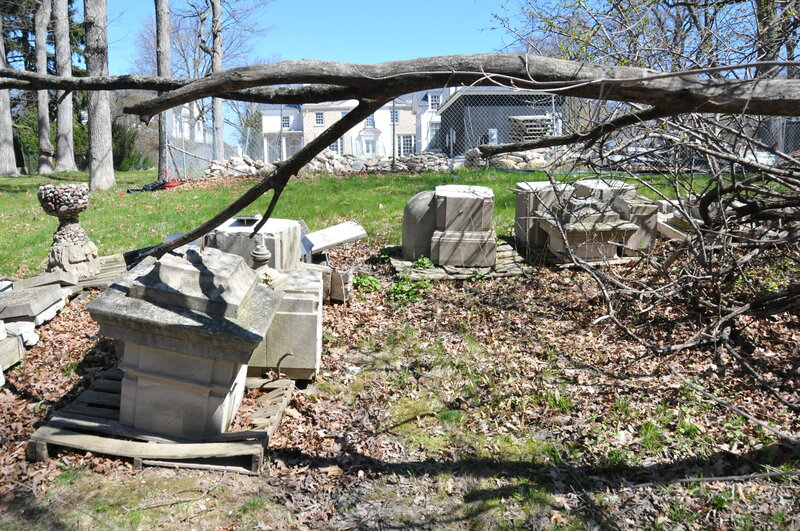 The pillar that remained in place was disassembled and both pillars reassembled at the new location.